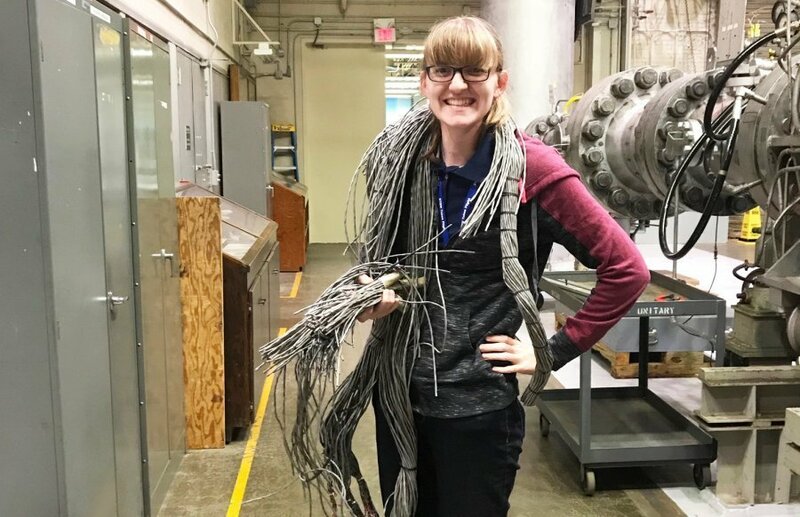 Katie Mortensen has spent the past two summers working at the NASA Langley Research Center. For the next few years, Katie Mortensen will be splitting her time between Virginia and Florida. That’s not unusual as many people will be doing the same. What is unusual is Mortensen is a 24-year-old Thomas Nelson student in the NASA Pathways Intern Employment Program (IEP) at the Kennedy Space Center. “It’s awesome. That’s really cool,” said Julie Young, one of Mortensen’s professors and the head of the College’s Mechanical Engineering Technology program. Young, who has been with Thomas Nelson for 18 years, can’t recall another student from Thomas Nelson being accepted into the NASA program in Florida. She said her first day on the job in Florida probably will be about a week and several days after the shutdown officially ends, and the program can last up to three years. With the Pathways Internship, she is considered a government employee with full benefits, but alternates between work and school. The plan is to spend this spring and summer in Florida, then attend Old Dominion University in fall 2019 and spring 2020. She’ll return to Florida for summer and fall 2020. After that, it will depend on her ODU schedule. “I’m basically going to be living out of boxes for the next couple years of my life,” Mortensen said. If all goes well, there’s a good chance she will be offered a full-fledged position at the end of the internship. Mortensen doesn’t know the specifics of her job yet – again because of the shutdown she hasn’t been able to speak with her mentor - but she will be working in the Prototype Lab at the Kennedy Space Center. She did say they want her to learn welding and how to use a CNC (Computer Numeric Control) machine, which is used for prototypes and in production. And she’s just as excited to get started, despite all the traveling in her immediate future.